(NaturalHealth365) Farmers in China use water full of heavy metals, organic and inorganic pollutants along with nitrogen to irrigate their crops. In fact, even China’s organic food is so contaminated, that by just touching it, you could get really sick. This is reality – all of China’s grains, vegetables and fruits are irrigated with untreated industrial wastewater. The Yellow River, which is considered unusable, supports major food producing areas in the northeast provinces. Many farmers will not even eat what they harvest and it has become abundantly clear – China’s water safety issues have threatened their entire food supply. Can China really produce organic food? Farmers say there’s no water source except for this ‘dirty water.’ China is the largest producer and consumer of fertilizers and pesticides in the world, according to China’s Journal of Arid Land. While at the same time, giant pig and poultry farms are developing rapidly to fill the demand for meat. This industrial food system produces massive amounts of livestock waste – which all ends up in the water supply. Animals produce 90 percent of the organic pollutants and half of the nitrogen in China’s water, according to experts at the Chinese Academy for Environmental Planning. There are times the water turns black, and the crops that survive this irrigation get sent to market for consumption. This affects organic fields as well. In China there are no rules on the type of irrigation used on organic fields. In addition, there are different standards used to label ‘organic’ produce. You see – they don’t have stringent rules and do not set limits on heavy metal contamination. The organic fields are often located near chemical plants and grown in contaminated areas – loaded with chemicals and heavy metals. China’s air quality is very poor and this also affects the water supply and crops. According to the World Bank in 2007, 16 of the world’s 20 most polluted cities are in China. Another source for concern is perchloric acid – which is mainly produced as a precursor to ammonium perchlorate in rocket fuel. Perchlorate has been found in China’s sewage sludge, rice, bottled drinking water and milk. 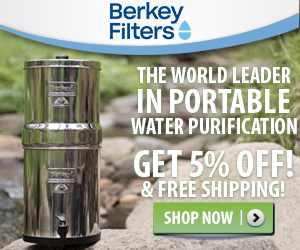 In truth, perchlorate is throughout their water supply and is contaminating organic fields – every day. Perchlorate is an endocrine-disrupting chemical. This toxic chemical causes improper regulation of the metabolism; developmental and behavioral problems in infants and children; and interferes with iodine uptake in the thyroid gland. In 2011, China produced 2.3 million tons of electronic waste, second largest in the world. The annual amount is expected to increase as the Chinese economy grows. Only 1% of the country’s 560 million city dwellers breathe air considered safe by the European Union. Sadly, most of China’s major cities are constantly covered in toxic gray clouds. China’s pollution has spread internationally: sulfur dioxide and nitrogen oxides fall as acid rain on Seoul, South Korea, and Tokyo; and according to the Journal of Geophysical Research, the pollution even reaches Los Angeles in the United States. In January, of 2013, the pollution levels have reached an all-time high. In China diarrhea, bladder and stomach cancer are being blamed on water borne pollution. World Bank officials have said, “China’s environmental agency insisted that the health statistics be removed from the published version of the report, citing the possible impact on ‘social stability’. Bottom line, buying “certified organic foods” from China may not have much value. Now, more than ever, we must constantly question how we spend our food dollars. True, knowing the source of our food takes more effort but aren’t we worth it? About the author: Jonathan Landsman is the host of NaturalHealth365.com, the NaturalHealth365Talk Hour – a free, weekly health show and the NaturalHealth365 INNER CIRCLE – a monthly subscription to the brightest minds in natural health and healing.